It's time to take a look at the best UK game deals of the day. With Black Friday fast approaching, retailers are starting to offer some seriously tempting game and hardware reductions. Here's the best of what's around. Deal of the day is the impressive - and of course PS4 Pro compatible - LG 49UH668V Smart 4K Ultra HD HDR LED TV from Currys for £499. If you don't already have Sony's upgraded console to go with it, there's a great bundle from Tesco Direct that'll net you the PS4 Pro, Call of Duty: Infinite Warfare and Dishonored 2 for £366.49. If you're just on the hunt for games, there's a choice of the Ultimate Evil Edition of Diablo 3 on PS4, the Lego Harry Potter Collection on PS4, Pokemon Omega Ruby or Metal Gear Solid 5: The Definitive Edition. Plus, if you're looking to hear every single detail of your gaming, there's a selection of gaming headset reductions too. 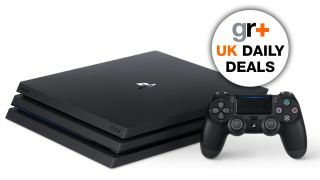 Take a look at the best UK game deals below – and come back tomorrow for more PS4, Xbox One and hardware bargains. LG 49UH668V: Smart 4K Ultra HD HDR 49" LED TV now £499 at Currys. If you've just picked up a PS4 Pro and looking for a new TV, this LED 4K offering from LG is a great choice. Not only does it have 4K as standard at an amazing price - £499 down from £799 - it's also got HDR compatibility for all those lovely colours. As standard you've got all of LG's smart apps and built in Freeview HD and Freesat HD tuners, and there's three HDMI 2.0 ports to connect to your consoles and other boxes. Add in the below PS4 Pro deal and you can have a whole new 4K and HDR set up for less than £900. Value wise, it's difficult to argue with £379 for a 43" 4K TV. There are fewer cheaper deals out there that'll deliver this level of quality for this outlay. 4K means you can take in the joys of ultra HD Amazon, Netflix and gaming and the Philip's Ambilight is a nice bonus to add a little atmosphere to your room. If you don't like it, you can always just turn it off. Plus there's plenty of ports if you've got stacks to plug in. 50"? £369.99? 4K? Yes, yes and yes. This Goodmans' LED TV means you don't need to spend an absolute fortune to get a seriously large screen for your living room. Fully 4K and with a Freeview HD box built in, if you're looking for a no nonsense ultra HD display for an amazingly low price, look no further. If you're looking for a set of wireless cans, these folding official Sony numbers are ideal for PS3 and PS4. There's a built in mic for Party chat and while there's eight hours of wireless charge, you can also plug in with the supplied 3.5mm jack. This also means the headset is compatible for plugging into PlayStation VR as well as PlayStattion Vita, mobiles and tablets. A note on affiliates: some of our stories, like this one, include affiliate links to stores like Amazon. These online stores share a small amount of revenue with us if you buy something through one of these links, which helps support our work writing about games, movies, and TV.